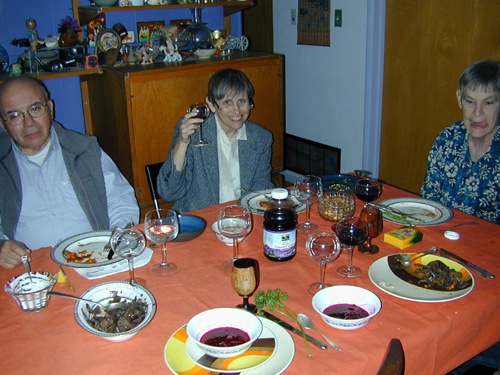 I’ve hosted a Passover seder at my home every year for the last 20 or so (except for the year my mother died the night before Passover 1996 and the following year, the first with Michael, when Michael and I both had the flu). Each one has a different mix of people, cultures, familiarity with the holiday, and food, as well as being held in any of several homes where I have lived, in two different states. 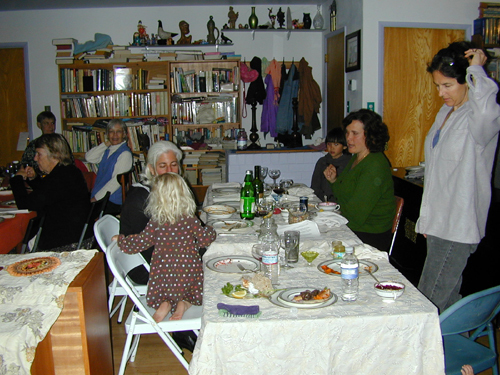 This year, a first-night seder on April 19, 2008, wasn’t the most stressful, but it was the weirdest. All the food came out well but, otherwise, everything that could have gone wrong did. I always find dietary and other restrictions to be a challenge (in a fun competitive sense) and I pride myself on creating a safe space for all of my guests, with food they can eat (perhaps not everything, but a decent meal). But this year pushed me to the brink. We had our own restrictions: no meat, nothing that Miriam is allergic to (she can get sick from crumbs and I want her to have a few days a year with other people where she can eat anything she wants), no chemical products on the guests, etc, but they’re seamless for us. And we can still have a full seder. Add to that the fact that I dropped a few of the usual rituals and customs to save time, but then ended up with even more gone due to the above restrictions. We didn’t start with eating hardboiled eggs like we have in most years, due to Miriam’s allergy. Two years in a row now I’ve had the idea of using whole walnuts instead, but then I can’t find any. We skipped the handwashing and didn’t sing a single song. And the post meal sections got lost entirely. No Elijah’s cup, which I’m still upset over. We only did the hunt for the affikomen. 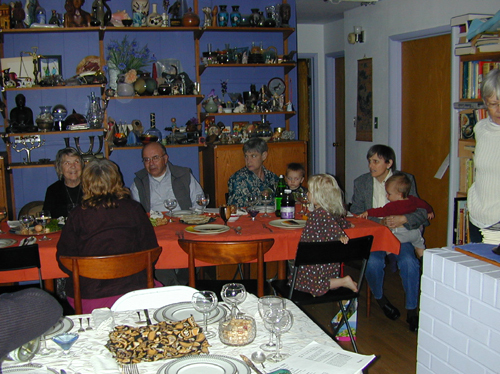 It felt more like a dinner party than a seder. We were supposed to have 20 guests (including 5 children) but, with all the additions and subtractions, we ended up with 16 (including 4 children). 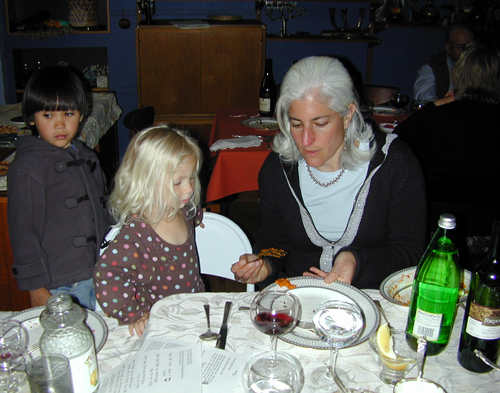 Three were new to our seder (2 had never been to any seder). We had two tables. The main one is our regular dining room table. Michael always sits there, at the end furthest from the kitchen. Then we move a buffet and desk back to add another table. I always sit at this one, in the chair nearest the kitchen (behind the wood doors to the right). 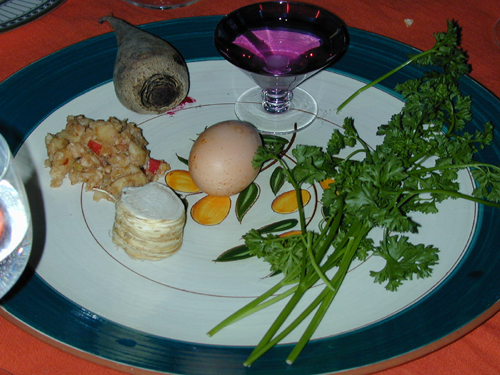 I bet you’ll remember this Pesach more than the others that went smoothly!